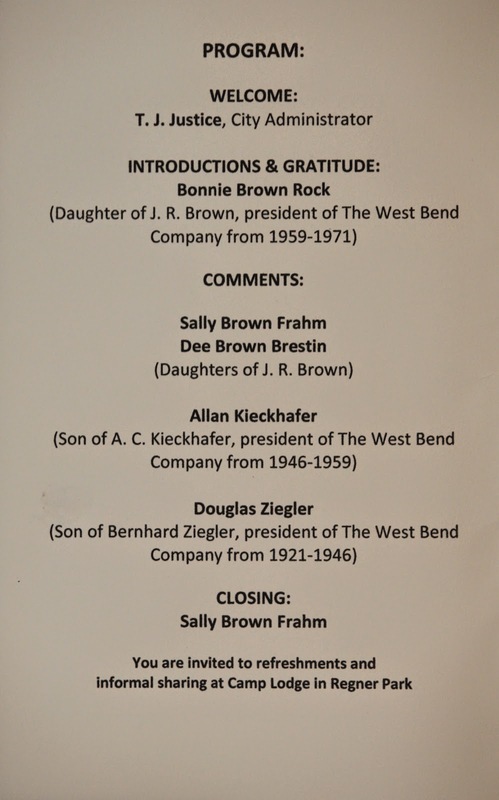 The dedication ceremony was held at the marker's location on northbound North Main Street / Wisconsin Highway 144, between Rivershores Drive (to the south) and Kuester Lane South (to the north), West Bend, Wisconsin 53090. 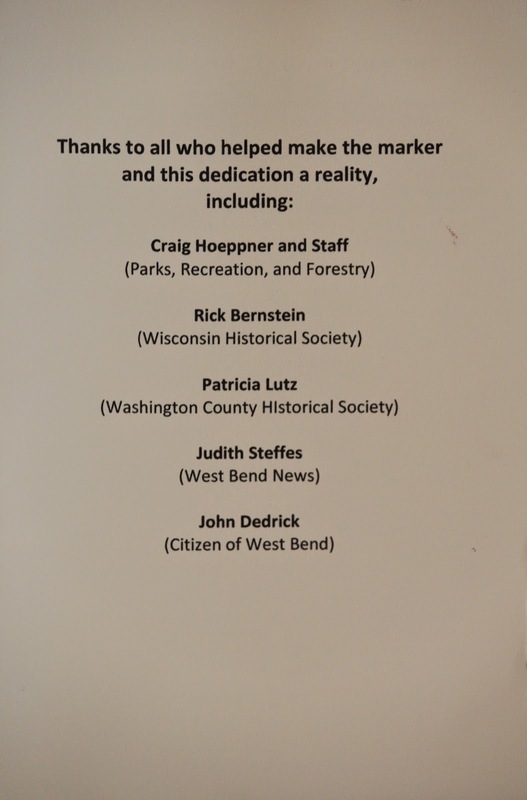 I was fortunate to be able to attend the marker dedication on August 16, 2014. 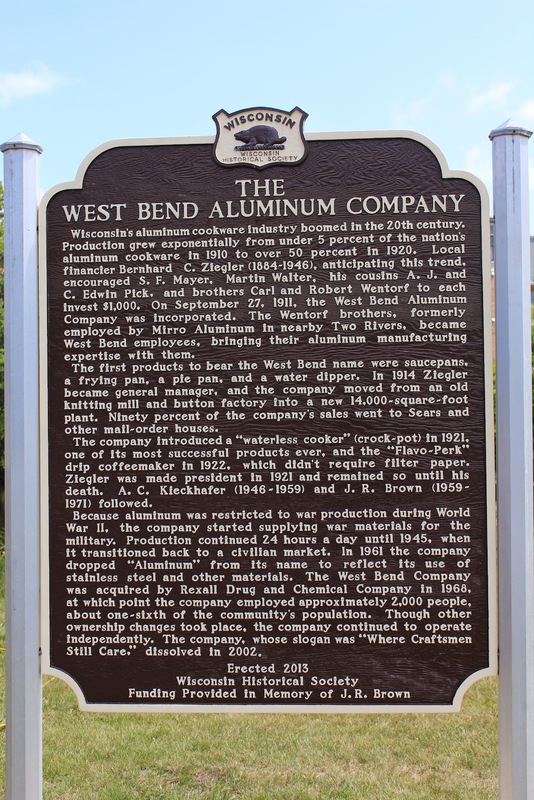 See also, The West Bend Aluminum Company, for more information and a transcription of the marker narrative. 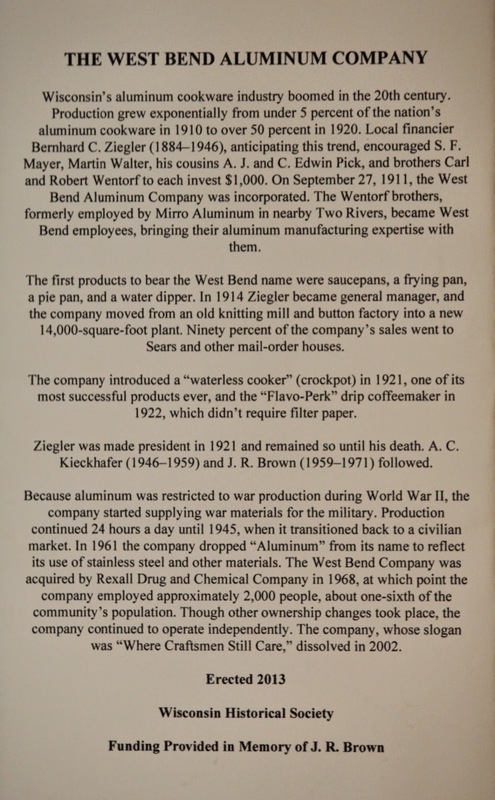 NOTE: The Wisconsin Historical Society has not yet assigned a number to this marker. then a short walk to the marker's location. 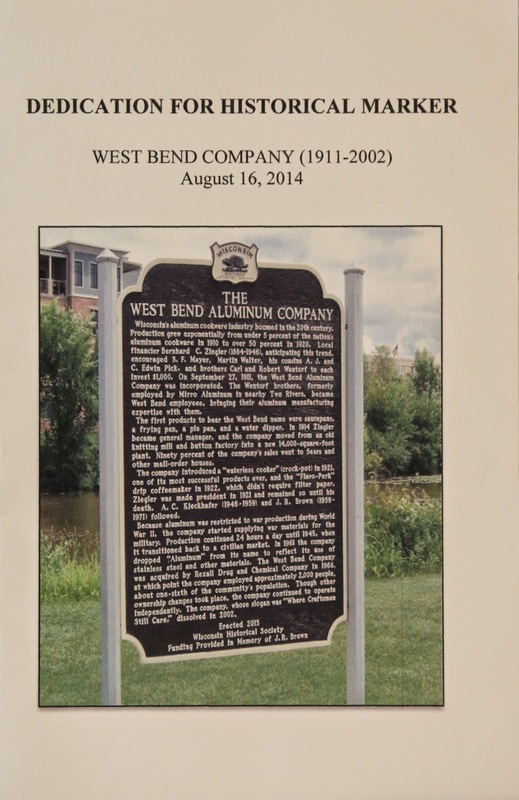 The marker is located along Barton Pond 291 / the Milwaukee River. 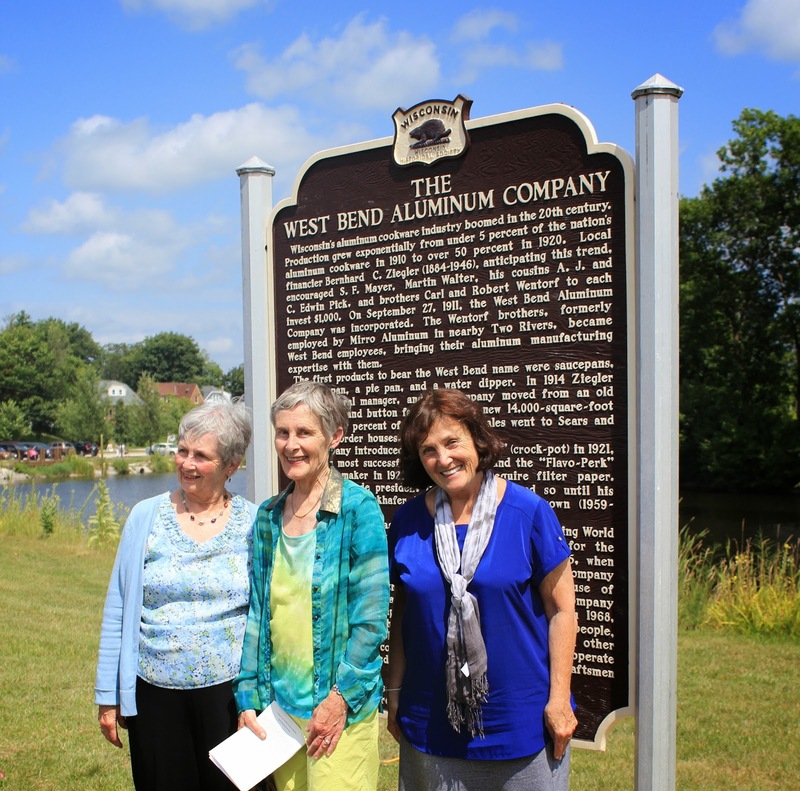 That's the West Bend Aluminum Company building in the background. responsible for the marker's erection. (now very, very expensive condominiums). Company; she reminisced with me about how much she'd enjoyed working there. Dee Brown Brestin), instrumental in the marker's erection. Dee Brown Brestin, and Douglas Ziegler (seated)).